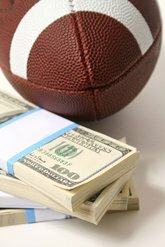 My weekly blog special the “Smart Money Report” Divisional Round edition is here to help you guys out. Make sure to check here every Thursday during NFL season as I utilize all my sharps aka professional bettor contacts, Las Vegas Oddsmaker contacts, and NYC bookies to give you the info on what’s happening behind the counter in the NFL betting marketplace with every game on the board. NYC Bookie Source: Most of bets here are on the Falcons and some sharp money mixed in too. The line moved from -2 to -3 as we go live. He said he is hoping to balance money enticing some Eagles backers at +3 but no big bites yet. He said the Under is the sharp play here with the big money guys moving him from 43.5 to 41.5. Vegas Oddsmaker: Ticket count is 60/40 in favor of Atlanta. He moved from 2.5 to 3. He did note at 3 the sharps came in on the Eagles moving him back down to 2.5. His total is up to 44 from a 41.5 opener with sharp money on the Over. NYC Bookie Source: Nothing major on the side to report in NYC on this one. He said the total that has seen a little sharp action moving him from 47 to 48 early this week. Vegas Oddsmaker: Ticket count is 80/20 in favor of New England for his most lopsided game of the weekend. He said he will need Tennessee big this weekend. He moved from 13 to 13.5 and said he can see himself going to 14 soon to try to get some Titans money. His total is down a half of tick from 48 to 47.5. NYC Bookie Source: A little back and forth action early on between sharps on the side. He said some sharps like Pittsburgh-7 and when he moved to 7.5, that opposing sharp money came in on the Jaguars. Nothing on the total. Vegas Oddsmaker: Ticket count is 60/40 in favor of Jacksonville. My guy in Sin City opened this at 7.5 and said between the early public tickets and some sharps took that number with the Jaguars moving him down to 7 where he currently sits. Nothing to report on the total. NYC Bookie Source: More tickets on the Saints here in NYC but my guy says he has a little more overall money on the Vikings which moved him from -4 to -5. He also said his total is up a half of tick from 45.5 to 46 due to mostly public interest on the Over. Vegas Oddsmaker: 60/40 ticket count in favor of New Orleans here in Vegas. My guy tells me that the sharps though are interested in the Over here moving him to 46 from a 44.5 opener. He did also say he has more big money on the Vikings here moving him from 4 to 4.5.